Considering working with a personal health advisor? It will soon be time for annual enrollment in your health plan. Choosing the right healthcare plan for you and your family can be confusing. How can you figure out which plan meets your needs best? What should you consider when choosing a plan for you and your family? Start by answering these key questions. What’s important to me and my family? Think about whether the deciding factor when choosing health insurance is the cost of the plan, being able to continue to have coverage for care from your current doctors and hospitals, or coverage for prescriptions. What type of healthcare do I need or anticipate needing? Depending on your age, health, and family situation, your healthcare needs could vary a great deal. Make a list of any conditions you or a family member are currently receiving care or medication for and check to see that the care and prescription drugs you need are covered by the plan you’re considering. In terms of anticipating your needs, if you’re thinking about starting a family, for example, check coverage for prenatal care, labor and delivery. If you’re planning on hip replacement, check if your preferred surgeon and hospital are part of the plan. What’s the total cost of the plan? 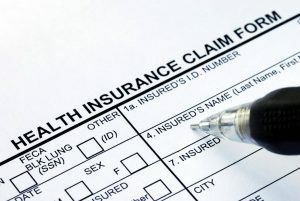 Don’t just look at the amount of money you’ll pay each month for your health insurance premium. You should also take into consideration the plan’s copayments, deductible, out of pocket maximum, and coinsurance. Do members of my family see any specialists? If you see a specialist, such as a cardiologist, endocrinologist, orthopedist, oncologist, rheumatologist, gastroenterologist, or dermatologist, check to make sure your physician is part of the plan’s network. You’ll also want to know if you need a referral from your primary care physician to see a specialist and whether the number of visits to a specialist are limited. Also bear in mind that some top cancer centers are not included in certain insurance plans, so if you’ve been diagnosed with cancer or are a cancer survivor, check to make sure the center you prefer is in the plan. Does the plan provide coverage for care out-of-area? Ask if care and prescriptions are covered outside your state. This can be especially important if you have children who are away at school or if you travel frequently for business or pleasure. If you travel overseas, ask about coverage for care outside the U.S. and medical evacuation. Most plans do not cover these services and it’s wise to consider purchasing travel medical insurance that does provide this coverage or working with a personal health advisor to coordinate and arrange care overseas. Is coverage provided for other services I need? Find out if the plan covers other services like vision care, chiropractic services, complementary and alternative medical care, rehabilitation or physical therapy, or the services of a nutritionist if those are services you and your family need.